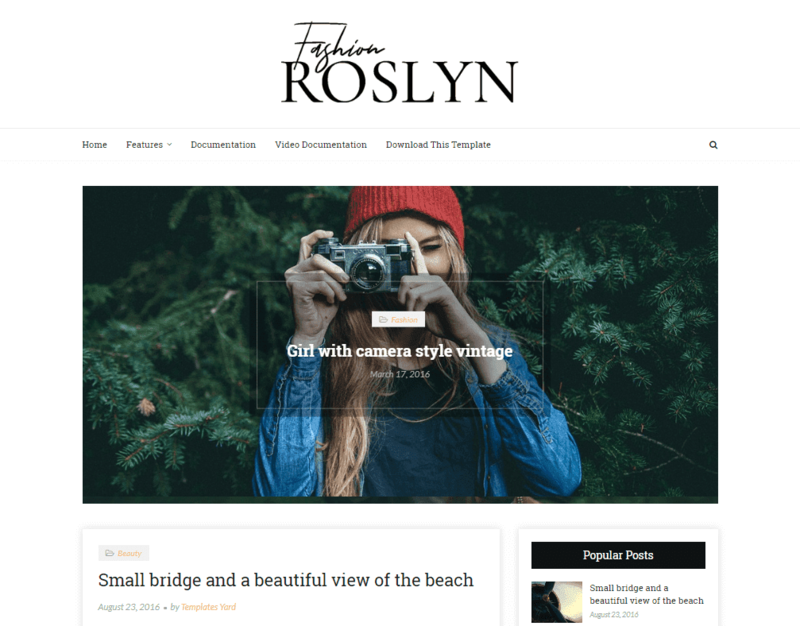 Roslyn Fashion Blogger Template is among one of the finest Best Blogger Templates curated by Way2Themes with our professional skills of development and designing best blogger templates. This template has a Featured slider which looks professionally designed, it has a premium design with clean & elegant looks. It is a Modern Fashion Blogger Template, that allows you to tell your story in creative and stylish way. This theme include all popular features that will help you in your storytelling. Also have customizing Options – changing fonts, colors, layouts and more. It is a 100% responsive best blogger templates design to help your readers to gain access to your website on any device. ! Following are some of the key features of Roslyn blogger template.